is an Iranian-American writer and analyst on Middle Eastern affairs, focusing on Iran. Her writing has appeared in Al Jazeera, Buzzfeed and the Huffington Post, among others. She lives in Egypt. Mahamoud Salahi, the head of the Art and Cultural Organization of Tehran Municipality, announced that Bagh-e-Ketab (the Book Orchard/Garden) will be 484,376ft² (45,000m²), triple the size of the once world-record holder. This bookstore is expected to cater to all walks of life and ages, but will focus on youth and include an auditorium for theatre performances, and four research departments for university professors to hold workshops and study sessions. The Tehran municipality has reportedly already spent 100 billion rials (more than $3 million) on the project. ‘Currently, we are at a stage of getting the store’s equipment. We hope that all interested publishers will be able to place their work on our shelves,’ Salahi told Iranian reporters. During 2015, he pushed for a campaign to promote reading by distributing free books and booklets on buses and subways for people. This had existed previously, but was halted three years prior, for reasons unknown. Salahi isn’t alone in encouraging people to read. An Iranian taxi driver in the city of Rasht recently decided to turn his car into a mobile library in hopes of garnering new love for the written word. But will such efforts do any good? Much of the reason for Iranians’ lack of interest in reading printed books has to do with censorship. Iran is ranked as one of the top 10 censored countries in the world. When it comes to publishing, the process is very meticulous: it can take months, sometimes years, to pass a book through the country’s Kafkaesque bureaucracy. 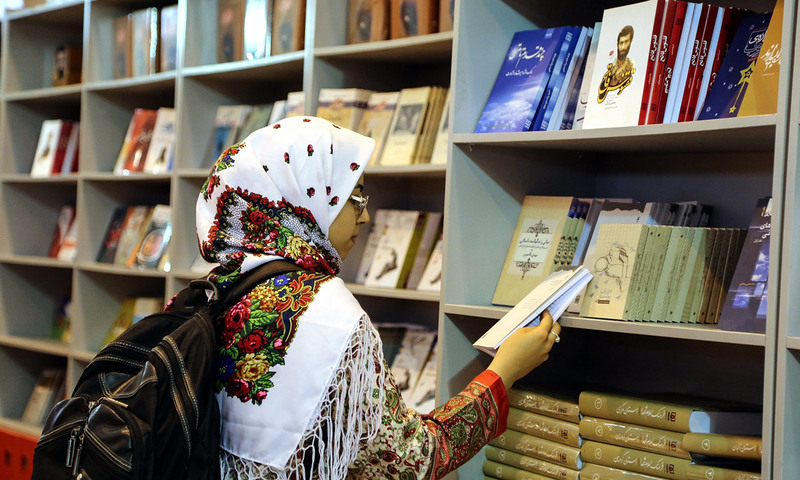 Books must first be submitted to the Ministry of Culture and Islamic Guidance to be reviewed by at least one anonymous censor, whose job is to make sure the text follow the rules and regulations of the Islamic Republic – albeit through the censor’s interpretations of the law. The censor’s work is described in Persian as momayezi, a polite word for ‘evaluating’. The process is intricate and usually relies on the use of the ‘Ctrl+F’ approach to find specific words and phrases that might be deemed anti-Islamic, against Iranian security or immoral. For example, the kissing and dancing scenes, as well as any mention of alcohol, are changed in the Persian translation of the Harry Potter series. Sometimes, entire chapters are removed, and certain books never make into print.